Saint Gemma is being highlighted in an article in 'Radiant Awakening' magazines April 2015 issue! 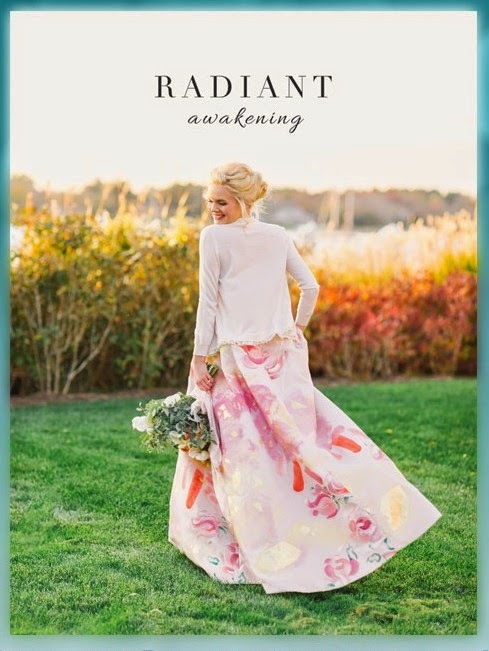 Radiant magazine is published yearly and targets the "fun, fashionable and devout woman." Concerning the focus of Radiant magazine, Rose Rea, the founder and publisher states: "We hope to stir up the hearts of our young women with the Holy Spirit and encourage them to discover and live out their own unique vocations as we aim to build up the precious body of Christ." And, they have a great summary and description of the magazine on the home page of their website: "Radiant is a modern, classy magazine covering traditional topics of the Catholic church, and applying them to the lives of young Catholic women who are searching, learning and living out their unique calling, with style, elegance, beauty and grace." Back a couple of months ago, Rose Rea contacted me with the idea of writing a short article about the life of Saint Gemma, because she felt that Gemma would be a wonderful example for the magazine of a young woman who was completely devoted to Jesus, and who lived a life filled with love and grace. As for myself, not formally being a professional writer and with a very short time-frame for submission, I wrote an article briefly pointing out some of the highlights in the holy life of Saint Gemma, asking Rose and the editors of Radiant magazine to please edit/change/add to the article to make it suitable for publishing, and for their part they did a wonderful job! And so I hope many of the readers here who are devoted to St Gemma will consider ordering this years copy of Radiant magazine entitled "Radiant -Awakening". The magazine can be purchased for the modest price of $10 plus $3 shipping ($13.00 total).